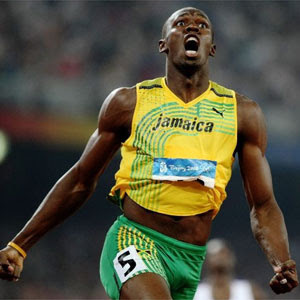 Usain Bolt's agent says the record-breaking sprinter has agreed to a two-book deal with publisher HarperSport. An illustrated book about Bolt's career and his Caribbean roots is due to be published in October. The second, a lengthy autobiography, will come out shortly after the 2012 London Olympics. In a posting on his agent's Web site, Bolt is quoted as saying, "I'm determined to give my fans all over the world a great insight into me and my life." The Jamaican emerged as a superstar at the 2008 Beijing Olympics by winning gold medals and setting world records in the 100 meters, 200 and 400 relay. He also won golds in those events at last year's world championships -- breaking his own marks in the 100 and 200.